Israeli Prime Minister Benjamin Netanyahu believes there is a “huge, worldwide effort” to make sure he does not get reelected in next week’s elections, which are expected to be extremely close. The comments by Netanyahu to activists from his right-wing Likud party were broadcast by Army Radio on Tuesday. 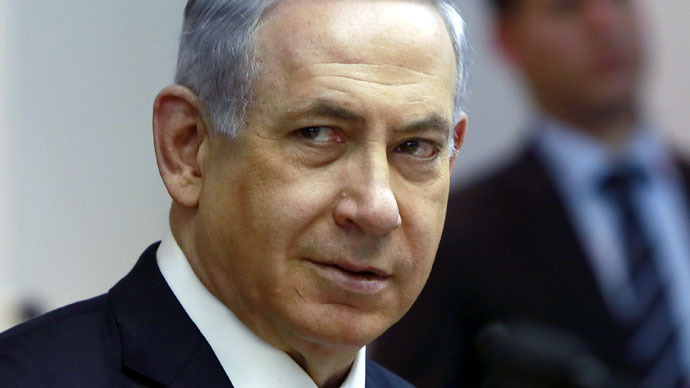 "It is a very tight race,” Netanyahu said. “Nothing is guaranteed because there is a huge, worldwide effort to topple the Likud government." The radio interpreted the remarks as relating to advocacy groups funded from abroad pushing for a change of government. Although political parties in Israel are not allowed to accept money from foreign donors, nonprofit organizations can accept money from overseas and US consultants have advised candidates in Israeli elections for many years, Reuters reports. Likud has said throughout the election campaign that groups such as V15, whose stated aim is to remove Netanyahu from power, are being funded by overseas donors. But last month State Attorney Shai Nitzan did not find any connection between V15 and any particular political party, meaning that the group was not breaking Israeli laws. V15 released its own statement after the Likud press conference after Nitzan decided not to prosecute. “The state comptroller, attorney-general, Central Elections Committee and district court took the air out of the Likud’s spin and made a mockery out of the brown-nosing sycophants from the delusional press conference,” V15 said in a statement. The latest poll for the Jerusalem Post found that the center-left Zionist Union would beat Likud by 24 Knesset seats to 22, although Netanyahu is seen as having a better chance of forming a governing coalition. "Netanyahu is feeling the pressure ... he is shooting in all directions," Zionist Union leader Isaac Herzog told Israel Radio.